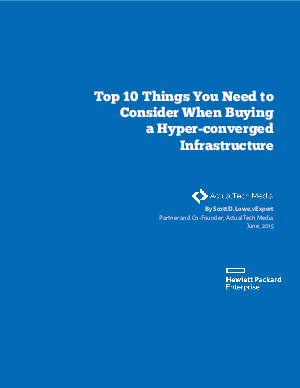 Hyper-converged infrastructure is a technology that is gaining growing interest as organizations of all sizes and across all market verticals seek ways to simplify increasingly complex data center environments. Over the years, these environments have continued to grow unchecked in complexity while IT departments react to new demands from the business. The result of this unchecked growth, however, is the least flexible, most expensive data center environments businesses have ever experienced.